As you’re busting out the Windex and dust pans getting ready to prep your home for a wonderful spring and summer season, it is also a great time to take an inventory of your personal wellness routine. 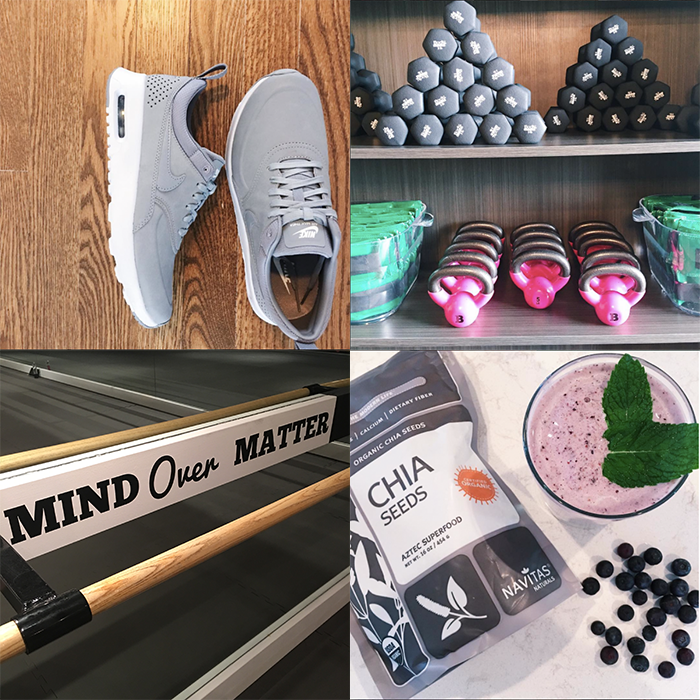 Here are a few ideas on how to prep your mind and body for the warmer months ahead! Find time to do things that make you happy. Between graduations, spring recitals, and #WeddingSeason, it can be easy to fill your calendar quickly. Make sure to pencil in time to read, dance, spend time with family, visit an old friend – whatever makes your heart sing. Start a gratitude journal. Gratitude turns what we have into enough and allows us to find happiness in our present circumstances. One of the easiest ways to incorporate a practice of appreciation is to keep a gratitude journal. Every morning when you wake, or every evening before bed, write down 3-5 things that you are thankful for. Watch as your blessings multiply in result. Go outside! Embrace that sunshine! Running with a light breeze, swimming in a lake, taking your dog or children for a walk, playing on a kickball team… there are SO many opportunities to really get out there and MOVE in the warmer months. Enjoy the beautiful weather and get those endorphins pumping. Take advantage of warmer, brighter mornings. It is scientifically backed that people who work out in the morning are the most likely to stick to their plan. Kickstart your morning early with a great sweat, you’ll reap the rewards and the pride for the rest of the day. Include your pantry stock in your cleaning, and make a few adjustments to your next grocery list. Swap your brown rice for your white rice. Or try this fun edamame pasta instead of refilling on your existing option. Switch your vegetable oil out with olive or grapeseed oil. Your instant oatmeal with rolled oats. The list can go on and on! The tiny swaps that we make within our lifestyle can go a very long way in keeping us feeling good and healthy. Focus on what you can add, not what you should take away. Restriction is not your friend and will leave you feeling hungry and deprived. Rather than focusing in on minimizing things like calories or cheese (because who doesn’t want more cheese?!) focus in on the healthy things you can add – a great one is VEGGIES! Find a way to add at least one vegetable into every meal – they are so fresh and delicious in the summer and will keep you energized, strong, and ready for all of the fun in the sun you can handle. Thanks so much to Lindsay for guest posting! Stay tuned for an upcoming workout feature on the latest The Barre Code class I’ve tried and a few more things we’re working on. And, as always, stay tuned to The Barre Code Metro Detroit Facebook page for the latest happenings!